1Wedding planning can be stressful, but it should also be fun! 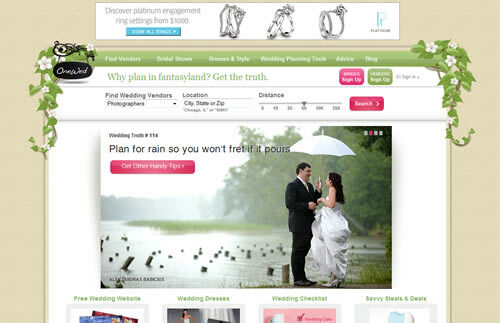 Lets you plan your wedding on the web and on your phone. You can track guests and vendors contacts, arrange seating, create to-do tasks, calendar and much more. 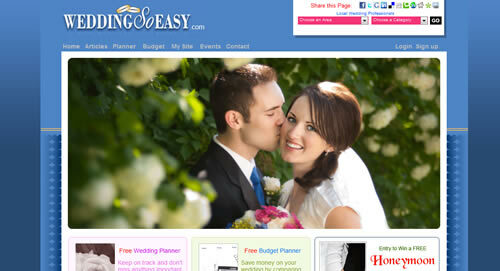 This post presents 10 best websites to plan weddings and event. All screenshots can be clicked and lead to the sites from which they’ve been taken. Find wedding photographers, wedding reception facilities, wedding ceremony sites, wedding cakes, wedding dresses, and more! Find a local wedding photographer, DJ, and more. Browse through our wedding planning articles, designer wedding dresses, as well as our wedding chat board. 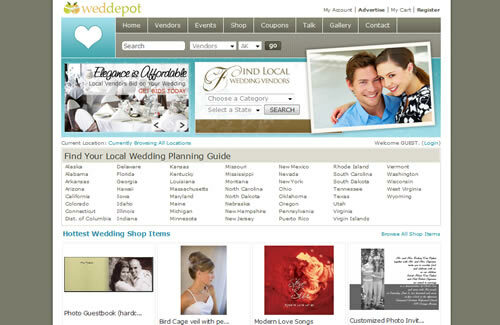 WedDepot.com has made it easy & exciting to plan a wedding. 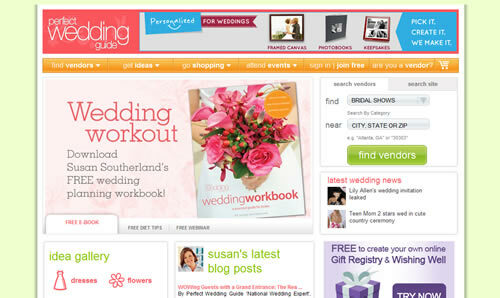 Register today for your FREE account, and get started with the user-friendly wedding tools, and visit the vendors sections to find services and coupons for your special day. 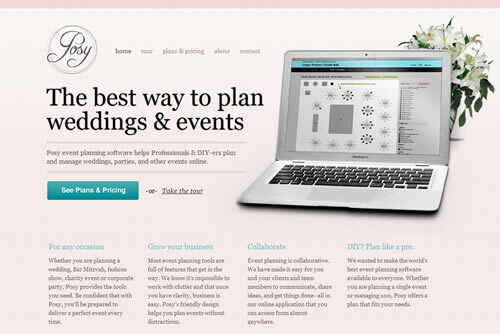 Posy event planning software helps Professionals & DIY-ers plan and manage weddings, parties, and other events online. 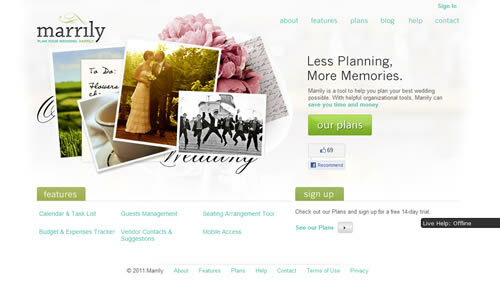 Plan your wedding with marrily easy way! 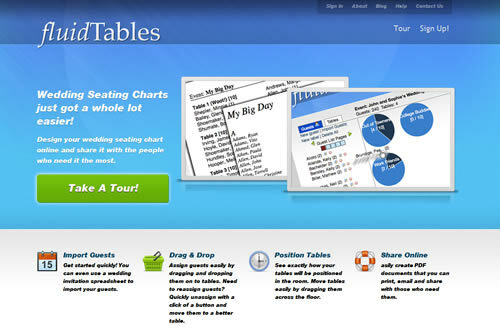 Design you wedding seating chart online and share them with the people who need them the most. 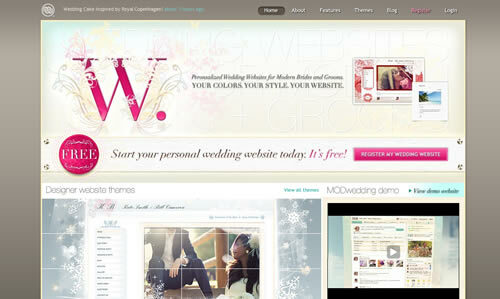 MODwedding as your personal, online wedding planner and concierge. 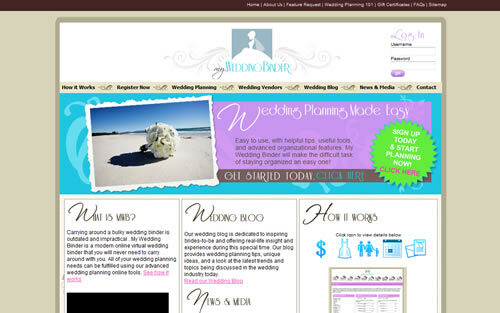 Your MODwedding website will help you organize RSVPs, keep track of details, manage your time and archive all of your favorite memories, while giving your guests a guided tour of the overall event, complete with schedules and reminders. Zankyou was conceived with the objective of revolutionizing the world of weddings. Zankyou is here to maximize the bride and groom’s control over their wedding and give them more freedom to choose. My Wedding Binder is an online, virtual wedding binder, my wedding binder provides you with the information all of the professional wedding planners already know! All of them look so beautiful. But many couples want to have personal wedding homepage. 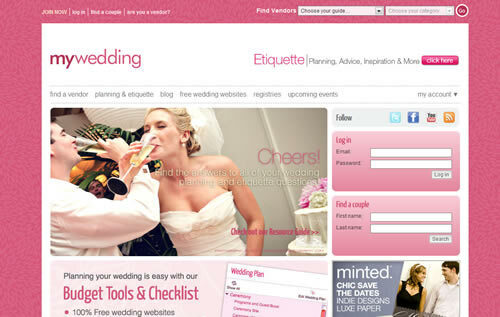 Can you show free wedding templates using CSS/XHTML? Hey this is wonderful list of website yo are sharing.Thank you very much for sharing..